Another Chinese dish which is highly preferred among Indians as well as among Begalis. So again modifying the Chinese dish in Bengal way. 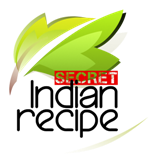 Banani Banerjee's Secret Indian Recipe ! Boil the Noodles in water and then dry up the noodles. Mix oil thoroughly to the noodles so that the strings remain unattached to each other and keep it for 3hr to soak the oil. Now heat the oil in pan add fry the onions along with the chopped veggies till light brown. Then add the noodles and mix well with the veggies. To it,add soya sauce,ajinomoto,salt n sugar and mix properly in light hand. Now make a fried scrambled egg and add to it and take away from the oven. Garnish it with Salad and Sauce and serve hot with Improvised Chilli Chicken.